What is the difference between a guardianship and a power of attorney? Both involve what is known as “substituted decision making.” In both instances a person is appointed to act in the best interests of another person who can no longer act prudently, but there are distinct differences too. First of all, a power of attorney is a document. A guardianship is a court proceeding and is considerably more expensive than a power of attorney. The power of attorney document is only in force while you are living. In it, you appoint someone you trust to conduct business for you. There are several kinds of powers of attorney, but the kind that is usually being compared to a guardianship is a “durable power of attorney.” It is called “durable” because it’s in force even if you should become incapacitated. If you became completely debilitated, your agent would still be able to pay bills, do banking, re-direct mail, file federal and Oregon income tax, buy and sell property and conduct about any transaction you can imagine. It avoids, in most cases, having a court appoint a guardian or conservator for you if at some point you become unable to manage your finances due to dementia or some other physical limitation. A power of attorney is a wonderful tool for pre-planning for your own possible incapacity. It allows you the maximum amount of control over who acts for you. It gives you the choice of who you trust to do what you would want to have happen in any given set of circumstances. If you haven’t done any pre-planning involving a power of attorney, the likelihood is very high that if you have become incapacitated for any significant period of time the court will become involved to appoint someone to act on your behalf. This would be a good place to say that in most of the United States the person the court appoints to do this work is called a “guardian” and most lay people call this person a guardian. In Oregon, however, there are two different kinds of similar positions appointed by the court, a “guardian” and a “conservator.” In Oregon, the guardian takes care of a person’s physical safety and wellbeing and a conservator takes care of the person’s financial affairs. Most of the time, the same person is appointed to be both the guardian and the conservator if both roles are required to protect a person that has become incapacitated. To learn more about why there is a division of these responsibilities, click here. The drawback to having the court appoint someone is that the court can appoint any person the court wants to appoint. The court usually tries to appoint a relative or friend of the person, but if no such person can be found, sometimes the court appoints a complete stranger. In my practice, the court regularly appoints me as a guardian or conservator for people I have never met before they began to decline. In these instances, no relative or friend can be found to act in these roles and so I am asked to fill the role even though I have little knowledge about what the person’s preferences would be if they were making the decisions. This is an undesirable situation that can be avoided with some pre-planning. How Does A Protective Proceeding Happen? If this pre-planning has not occurred, someone, usually a family member or friend, or sometimes an attorney contacted by adult protective services, will start a protective proceeding to have a guardian or conservator appointed by the court. The person in need of protection generally ends up paying for all the costs associated with setting up a guardianship and/or conservatorship. This usually costs several thousand dollars and may cost more money over time. There can also be an emotional cost to having a person appointed as a guardian or conservator. At a minimum, if the matter goes to court, it becomes a part of the public record, that violation of privacy can be an embarrassment to the person to be protected. If the person objects to having a guardian or conservator, a hearing will be held and the person to be protected often needs to participate. The questions that need to be asked in such a hearing can be unpleasant and frustrating. As an attorney that has had to ask these questions, I do everything possible to try to preserve the person’s dignity, but the court needs to know exactly why the person is in need of protection and that can be humbling to the person asked to answer. A couple of years ago I was in such a hearing and had to ask a wheelchair bound woman in her early nineties some questions she took exception too. She yelled at me and then yelled at the judge for requiring her to answer. In the end, she left the courtroom in a storm of emotion. This situation could have been avoided with some pre-planning. Unfortunately, sometimes the time for planning is over and then we go ahead with a court proceeding to find a way to protect the person who has lost their capacity to manage their own life. 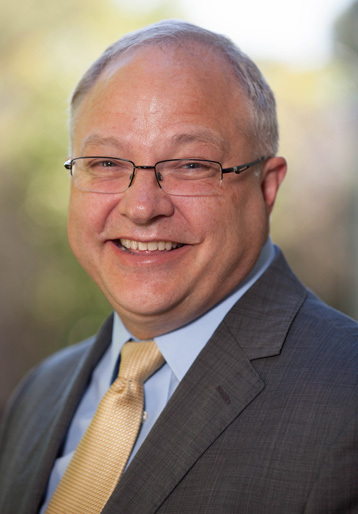 Stan Butterfield is an estate planning and elder care attorney in Dallas, Oregon, who regularly practices in Polk, Marion, Linn, and Yamhill counties. If you are trying to do some pre-planning for yourself or are assisting a loved one with their planning, or if you are trying to protect someone you love who is declining in their ability to care for their self—Call Stan, (503) 623-2427.